Divcibare plateau is situated at an altitude of 980 meters above the sea level. 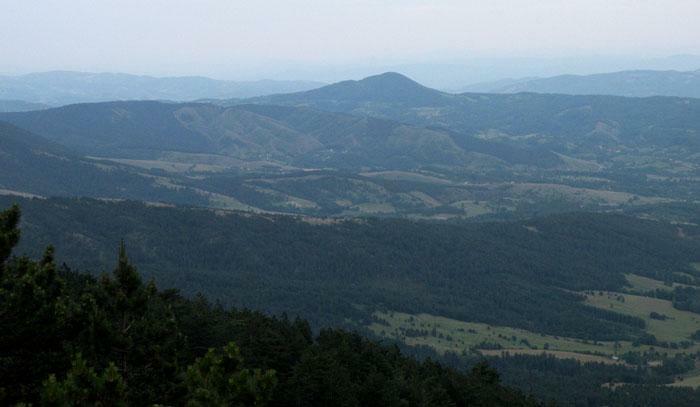 Heights surrounding this plateau protect it from the winds and also provide extraordinary panoramic views of Maljen Mountain and other more remote parts of Serbia. The highest peak of Maljen Mountain is Kraljev Sto 1103m (King’s Table). The legend has it that it was named after the Serbian king Dusan the Great. Crni Vrh 1098m (Black Peak) is the second highest peak of Maljen mostly covered in dark green conifer forests which sometimes seem almost black. 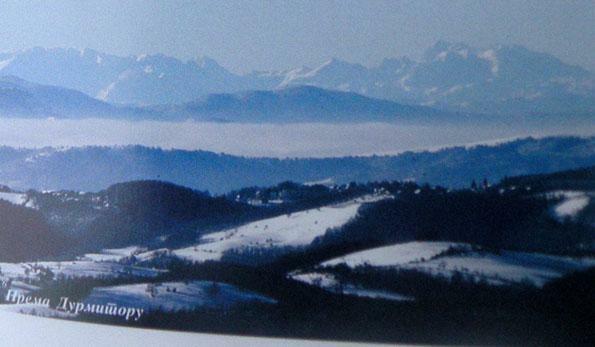 Veliko Brdo (1061m) has a fantastic view to the valley of the River Kolubara and it is very interesting for picnics. Golubac (1044m), covered in conifer and deciduous forests, is also convenient for trips and picnics for its beautiful scenery and landscape. Strazara top divides the plateau into two parts and got its name during the reign of Austria since it represented the border between Turkey and Austria.